Enter a world entirely our own, enter one night at STUDIO 54. Ophelia recreates for one night only the inside of the original legendary nightclub Studio 54 New York. Reliving the best nightclub of all time; a playground of the city's finest actors, musicians, and artists with moxi roller girls, divine drag queens, Andy Warholesk immersive performances and the legendary Studio 54’s sound. 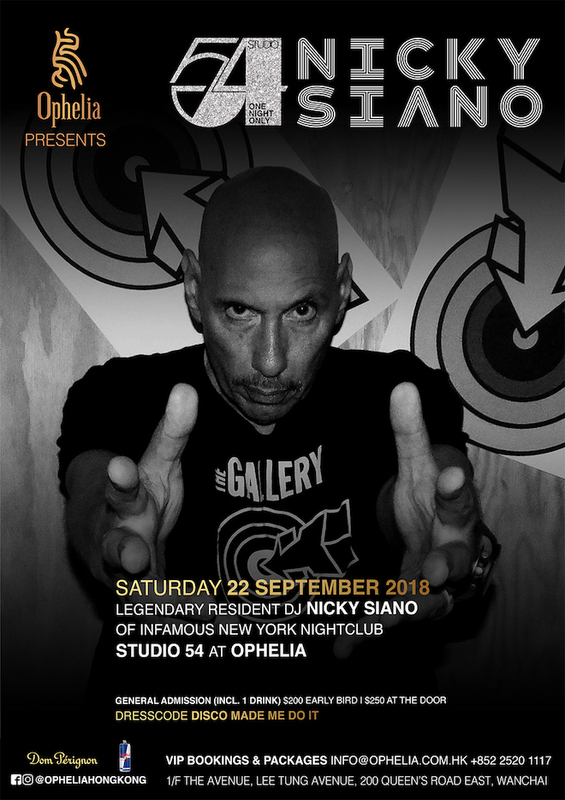 Nicky Siano continues to tour & his appearances in cities around the world are sold out months in advance. He is the last surviving pioneer of the 70’s dance music scene. He is the only person left who was there at the very beginning, remaining relevant and involved through the 70‘s - in the decade of the disco explosion & as a resident at STUDIO 54.
soundtrack for the film, skillfully incorporating original live crowd recordings behind the new music. The footage is so remarkable parts have been licensed many times, nine by the BBC. Disco was not just a dance craze, it was a continuation of the 60’s social upheaval.